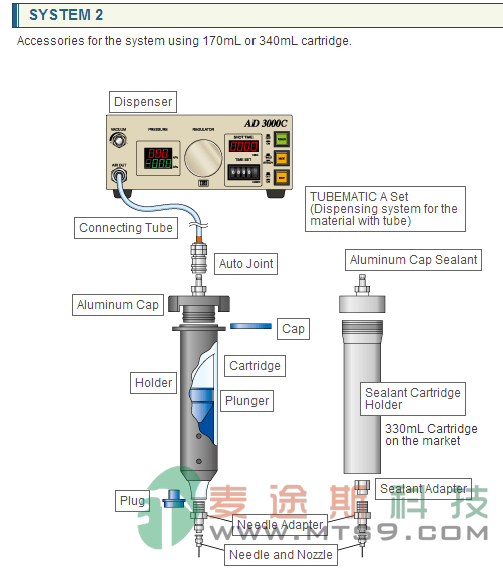 Dispenses by high spec regulator. 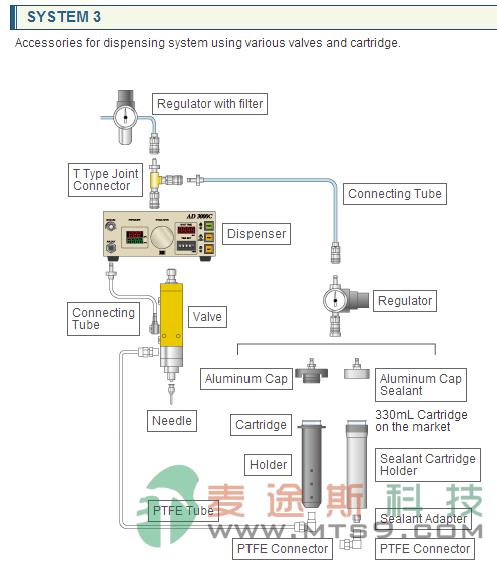 Easy control by all dispensing conditions displayed in digital. Equipped Air-Pressure detect function (Alarm at air-pressure out of range). Memorized shot-time up to 10 pattern. Equipped Shot-counter function, Interval shot function. 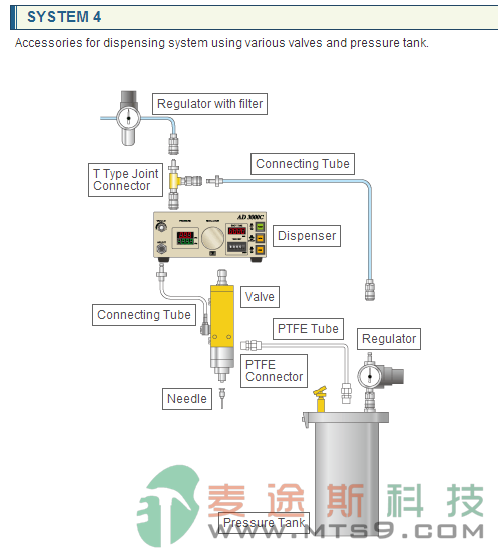 Low pressure AD3300CL model (Operating Air Pressure 10~200kPa) is available.